What a combination and three items crossed off my wish list in one meal. 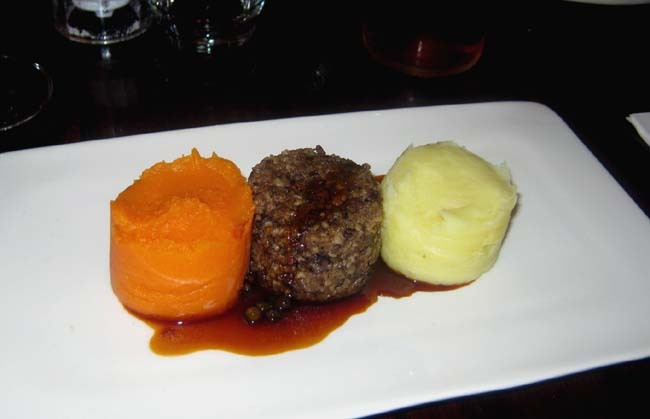 Dunedin in NZ has a strong Scottish heritage, so I did a bit of research before visiting the city last month, and found a restaurant that served haggis, which I had never eaten. We only had one night in Dunedin so headed off to dinner at the Scotia Bar and Bistro, in the city centre. The restaurant has a great atmosphere, the staff are fantastic and the menu offered so much more than expected. I ordered an entree of haggis with neeps (mashed swede) and tatties (mashed potatoes). Swede was apparently out of season so sweet potato was used. The haggis was quite a surprise. I had always imagined it to be the consistency of sausage meat but it has a course grainy texture and a rich, spicy flavour, definitely a meal to have again when the opportunity arises. Mutton bird was also on the menu, so an entree of this was ordered. Muttonbird (shearwater or Titi) is a sea bird and quite a delicacy in NZ. As these birds feed primarily on fish, they are high in Omega-3 fatty acids. The meat, which is dark red, has a flavour somewhere between lamb and fish, and is very oily, but delicious. 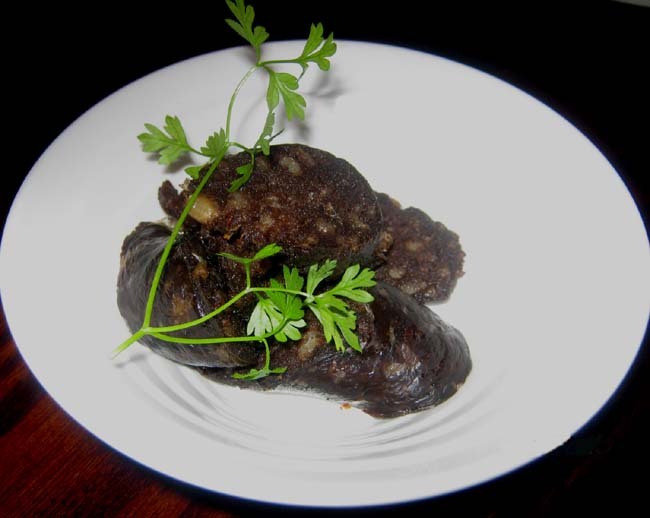 The final taste test at Scotia was black pudding, which was served with another dish. I was happily served a small side dish of this when I asked. The black pudding didn’t taste as strong as I expected, and was a very light almost fluffy texture. I have eaten black pudding as a child, but this is quite different to my memories of it. I’ll just have to try it again for a third opinion. I left Scotia with two regrets. The first is that I only had small portions of these fantastic dishes. Next time it will be main courses. The second regret is that we didn’t spend more time with Scotia’s collection of over 300 whiskies. Scotia is a restaurant I would recommend to anyone visiting Dunedin, and I also recommend trying all three dishes wherever they are available. A few days later in Queenstown, on our last day in NZ, I bought a can of haggis at The British Lolly Shop. I look forward to opening it soon. 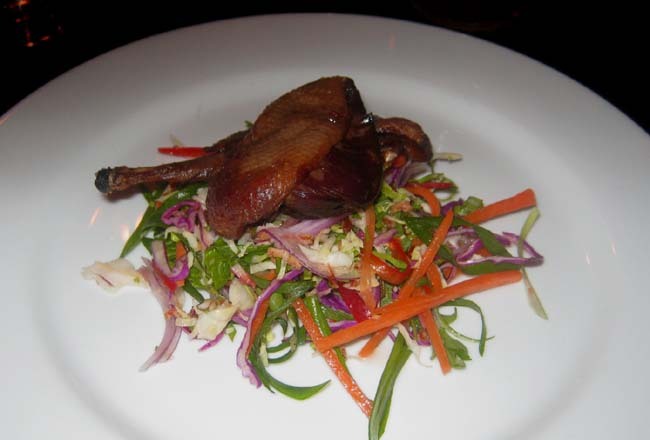 This entry was posted in Meat dishes, Offal and tagged cooking, food, haggis, offal, restaurant. Bookmark the permalink. I came across your site from the foodieblogroll and I’d love to guide Foodista readers to your site. 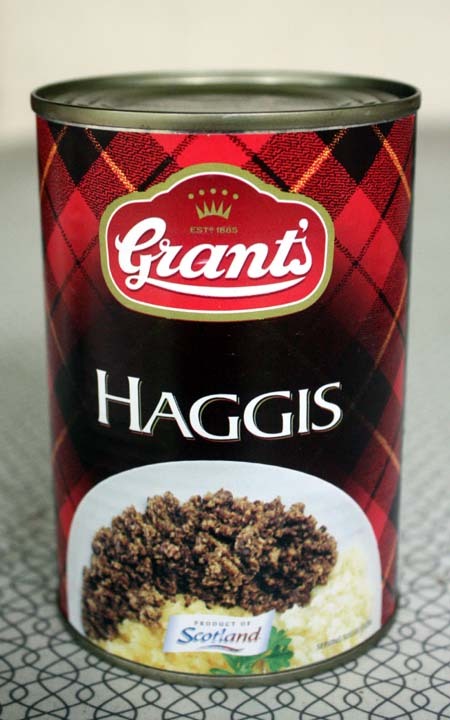 I hope you could add this haggis widget at the end of this post so we could add you in our list of food bloggers who blogged about haggis,Thanks! I’ve had mutton bird a few more times since then and I really love it now. Especially cold with a drink (feijoa vodka goes well with it). It is strong, but delicious.